Whenever Eric Arvin writes a new book I cannot wait to read it. This is one of the most talented novelists of the past decade and his brand of gay fiction always satisfies because it speaks to more than just the homosexual audience. 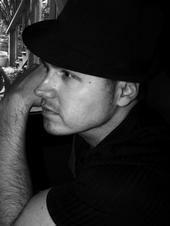 Eric writes about human emotions, feelings, and the drama which normally comes along with them. And his use of humor is always a delight. 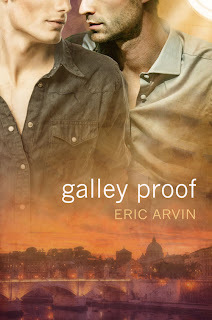 Galley Proof is Eric's latest release. I read it in about twelve hours. This is the story of Logan Brandish, a writer from a small town who is about to unveil his latest novel. Logan lives a quiet life. He's got his boyfriend, their cat, and his best friend. His life seems full and he is happy with the status quo... until he meets the editor of his new book. Brock Kimble is handsome and alluring in a dangerous kind of way; dangerous in that he makes Logan wonder if the life he's been living is really what he wants after all. The turmoil that Brock's entry into his life creates causes Logan to flee his quiet life for a while so that he can make some sense of the quandary his emotions have become. He goes to Italy to regroup where the natural beauty of the place, along with the local scenery of men, gives him close to the distraction that he was hoping to find. But he comes to discover that it's only a temporary escape from the problems he left at home, and whether he can have his cake and eat it too becomes the crux for the difficult decisions that he must make. Galley Proof is without a doubt Eric Arvin's best release since Suburbilicious. He writes with the heart of one who's been through the tale he's telling but also with the talent of a novelist who was just born to write. And this author thinks he was.